This is Part I of an article about Hokkaido University’s Center for Ainu and Indigenous Studies, the only national institution in Japan that studies the Ainu of Japan and other indigenous peoples around the world. This section is based on an interview with the center’s director, Hokkaido University Professor Teruki Tsunemoto, who discusses constitutional issues affecting the Ainu people, as well as Japanese government policies aimed at promoting their culture and improving their livelihoods. About 30 years ago, Hokkaido University Professor Teruki Tsunemoto became unexpectedly involved in legal issues related to the Ainu, an indigenous people of Japan who live mainly in the northern island of Hokkaido. One day, Tsunemoto was approached by his college instructor, Professor Mutsuo Nakamura, who had been commissioned by then Hokkaido Governor Takahiro Yokomichi to consider new legislation to replace the controversial Hokkaido Former Aborigines Protection Act. According to Tsunemoto, in those days, there were no scholars who specialized in Ainu-related legal issues. Tsunemoto has since become an expert on the constitutional and legal issues involving the Ainu, who—like many other indigenous peoples around the world—have been subject to discrimination. 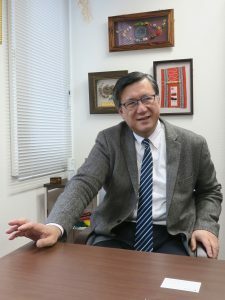 He now heads the Hokkaido University Center for Ainu and Indigenous Studies, the only national institution of its kind in Japan. 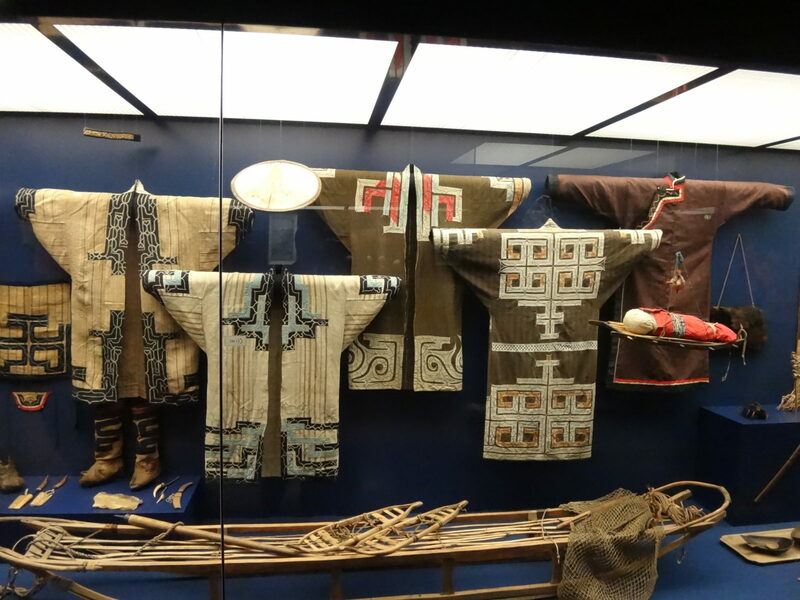 “The 1997 law was designed to promote Ainu culture in a narrow sense, including language, dancing and craftwork, but it was criticized for a lack of provisions to grant rights to lost land, and allow self-determination,” Tsunemoto said. However, there is no constitutional basis to grant such rights. Another important issue is how to define the Ainu people. It is difficult to know exactly who the Ainu are, as there are no public documents identifying them as such. “It’s a challenge for a constitutional scholar to find ways to justify public measures taken to address Ainu-related poverty and other welfare problems, because there’s no positive mention of ‘ethnicity,’ nor ‘Ainu’ in the highest law,” Tsunemoto explained. Some Japanese often oppose giving special treatment to the Ainu, opining that they should be treated like normal Japanese citizens. One example of this was a controversy that arose in 2014, when a Sapporo city assembly member wrote on Twitter, “We no longer have an Ainu race,” provoking the ire of many Ainu, and the central government, which acknowledges the Ainu as an indigenous people. The assembly member reportedly was responding to a message from a voter, who had said Sapporo was “wasting” taxpayers’ money on support measures for the Ainu. By way of comparison, the U.S. Constitution grants tribal sovereignty to indigenous peoples— this gives them an inherent legal authority that allows self-governance. The U.S. also used to actively employ affirmative action policies in an effort to increase the representation of women and minorities in such areas as employment, education and cultural activities. It was not until 2009 that both chambers of the Diet unanimously approved a resolution stating that the Ainu were an indigenous people of Japan. The government immediately endorsed the resolution and set up the Advisory Council for Future Ainu Policy to consider principles and measures for future Ainu policy in Japan. 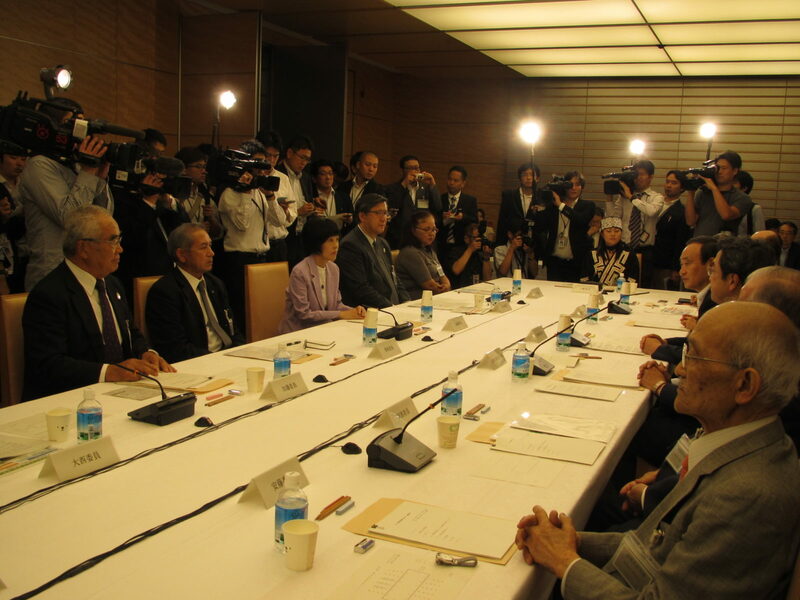 Based on the Report of the Advisory Council, the Council for Ainu Policy Promotion was set up in December 2009, headed by the Chief Cabinet Secretary. It now works to realize the comprehensive recommendations made by the former Advisory Council, which identified policy priorities in Japan with reference to the United Nations Declaration on the Rights of Indigenous Peoples. Tsunemoto, a member of both panels, said one of the challenges is how best to provide financial support to Ainu people, many of whom have to deal with incomes that trail behind the rest of the population.